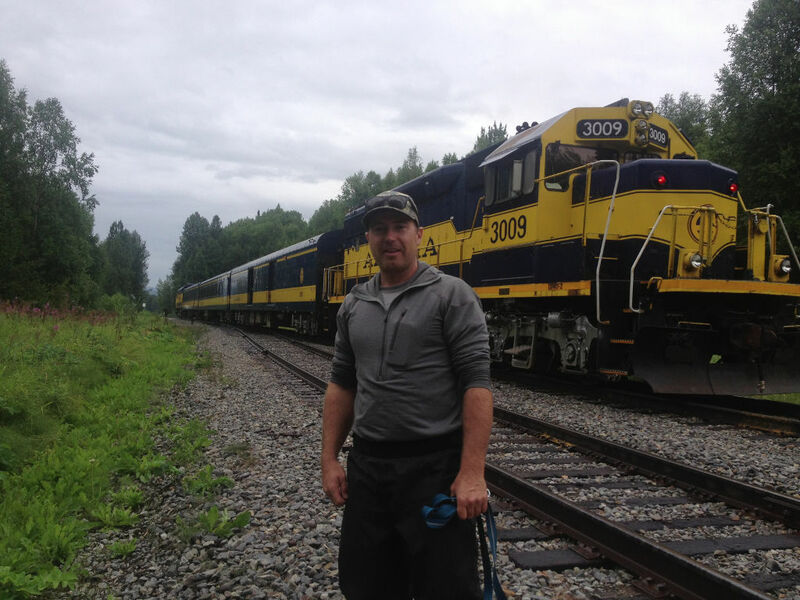 Flag the historic Flag Stop Hurricane Train (one of the last flag stop trains in America) and ride the rails from the historic Talkeetna townsite depot to Chase approx. 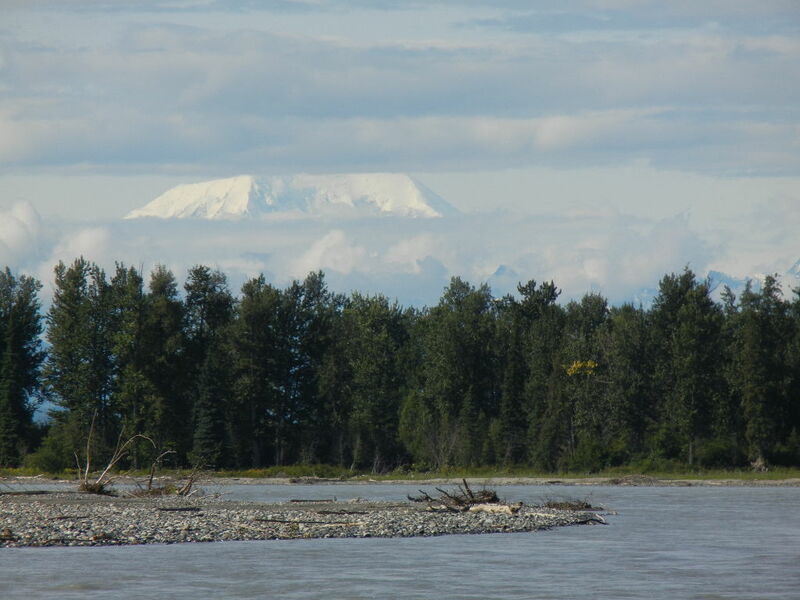 11 miles north of Talkeetna. We will wave our flag and the train stops here and lets us off. 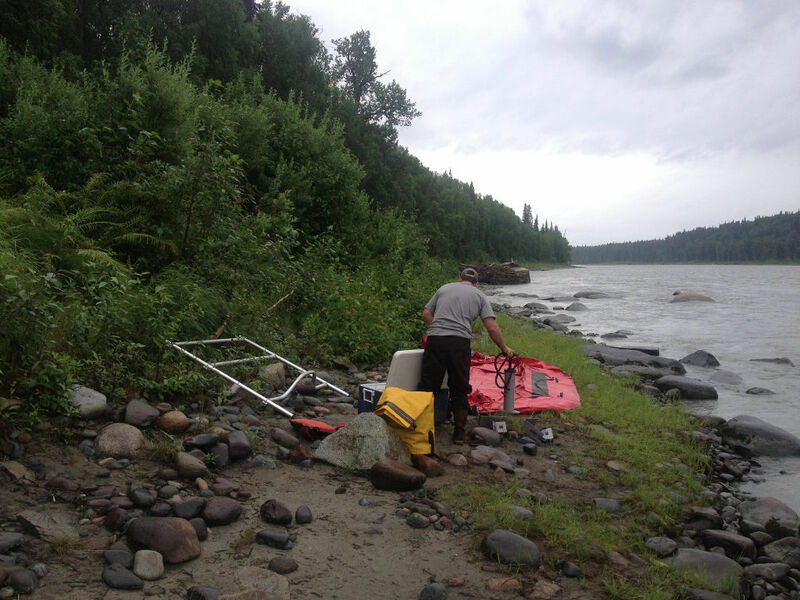 We will then hike down to the area where the rafts will be readied for you or you can help get them ready for the float trip down the mighty Susitna River. Floating this pristine glacial fed river offers many beautiful wilderness scenes. Imagine quietly floating, so quiet that you can hear the suspended silt as it brushes against the raft’s floor; going with the river’s flow seeing ferns that drape the river’s edge so large that they topple over due to their height and weight; some measuring well over 8 feet tall. 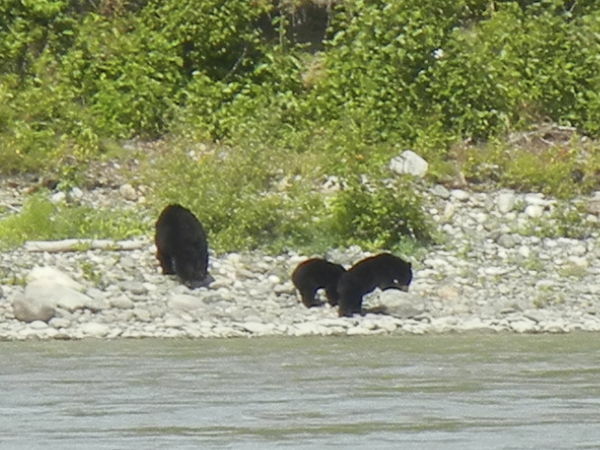 Eagles flying by, salmon jumping in the river, moose crossing the side creeks, an occasional bear stalking fish along the river banks; all of these things are possible to see in the wilderness of Alaska. 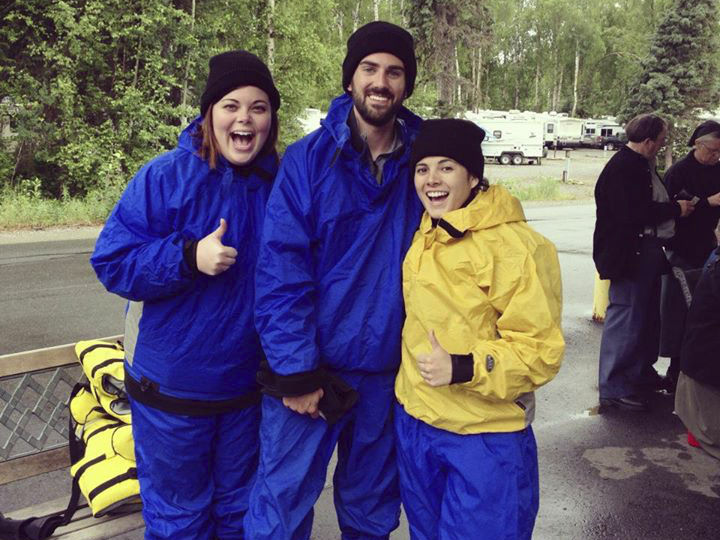 We certainly don’t promise seeing them on this tour, but it is possible and it is the wilderness of Alaska. 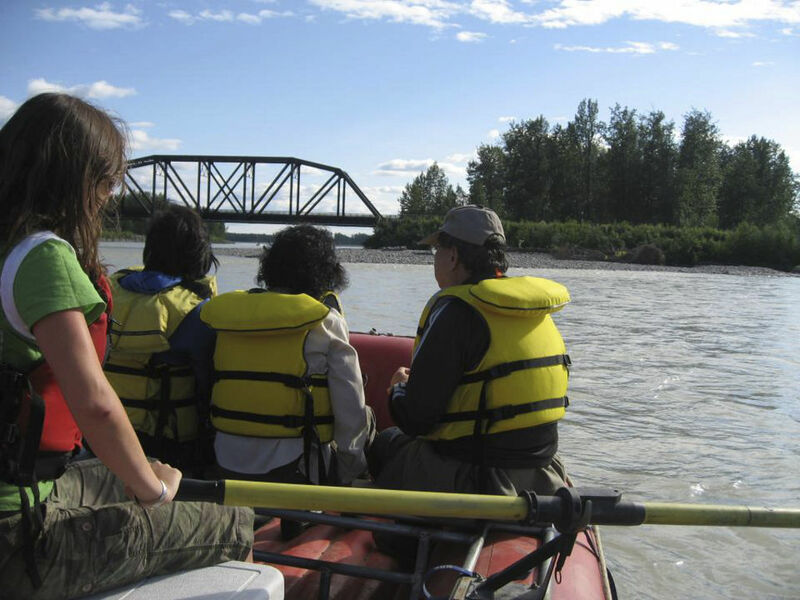 Along the float trip you’ll stop on one of the islands and receive your complimentary lunch made by the Historic Talkeetna Roadhouse. Lunch options are BLT, Salmon Salad, Veggie, Reindeer Meatloaf or Pulled Pork all include homemade cookies, chips, water, and come on a freshly made bun. They are awesome and homemade fresh every day for us!! 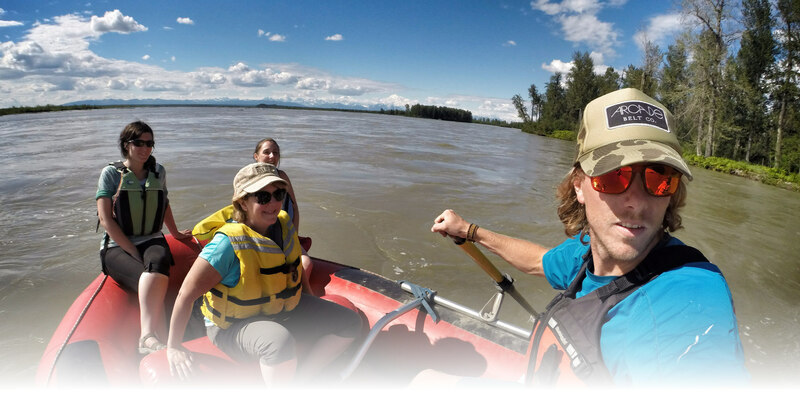 After lunch you will continue on your wilderness soft adventure floating on the mighty Susitna River for some 12 miles of river back to the town of Talkeetna. You will arrive at approximately 4:30pm – 5:00pm, just in time for that last minute shopping and dinner at one of our great local restaurants. 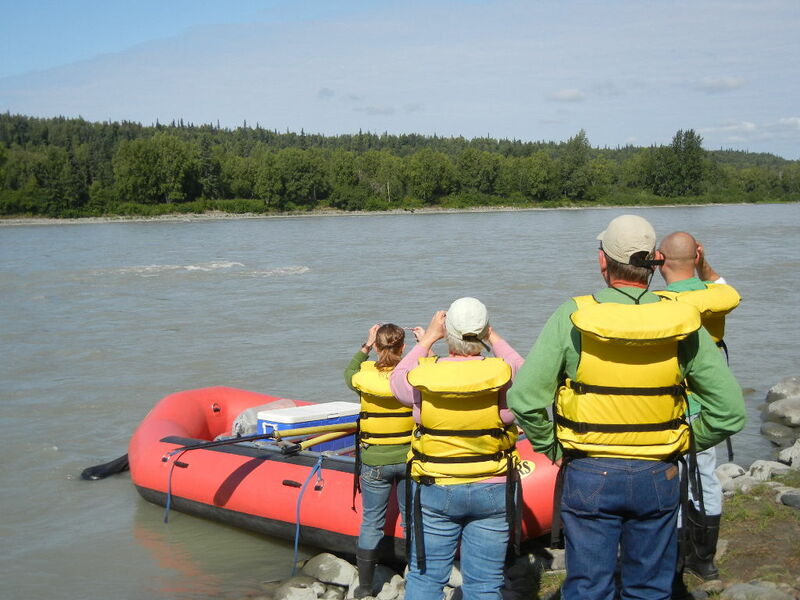 Tours are guided float tours, which include transportation, rubber boots, rain gear/ponchos, PFD’s, lunch and water. If your party or any individual in your party cancels outside of 7 days of your scheduled trip, we will provide a full refund minus $25/pp administration fee. No refund will be given, if your party or any individual in your party cancels inside of 7 days of your scheduled trip. No refunds will be given for no-shows. Weather is not a cause for cancellation since trips run rain or shine. 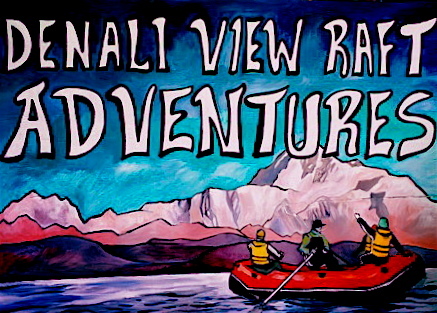 Denali View Raft Adventures can cancel a trip for any reason (including severe weather and/or high water conditions, minimum amount of participants not met) and we will in that case provide a 100% refund. Tour need a minimum of 4 people in total to go.